During ultrasonic dental cleaning, the dentist uses an instrument called an ultrasonic scaler, or Cavitron®. 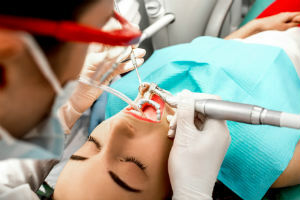 The Cavitron distributes ultrasonic vibrations to literally blast dental tartar, or dental calculus, off of your teeth! As the ultrasonic scaler vibrates, it produces sound waves to break apart stubborn calculus. Water flows out of the tip's end to wash away debris and keep the scaler from overheating. 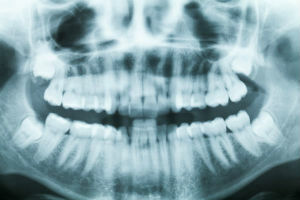 Although you won't feel the vibrations or hear the sound waves, you'll most likely notice that your teeth feel cleaner. And your dentist will have significantly reduced the amount of dental plaque bacteria that causes most dental diseases.